The Whacko Blog: Want To Be A Whacko? Want To Be A Whacko? Do you think you have what it takes to be a Whacko? 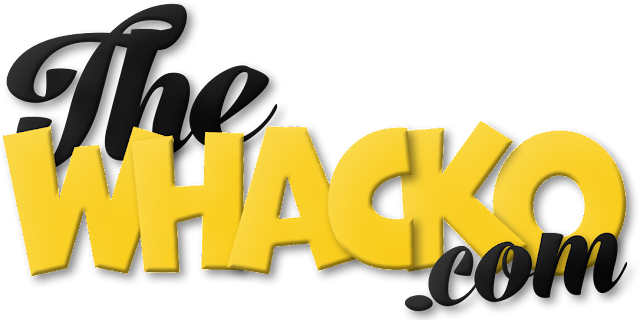 We’re always recruiting bloggers to add to The Whacko Blogs and it’s really a very painless procedure. All we ask of you is that you guest post on one of the many Whacko blogs and then BOOM, you are a Whacko for life. What are the benefits of being a Whacko? Well you’d be surprised what can become of a Whacko in the whacky world of blogging. Here’s the short list, but more seems to materialize weekly ..
You will get a by-line on an already established blog. You will have your blog linked in the Whacko Friends list on every one of the Whacko Blogs (it's over there on the right). You will have manager access of The Whacko Blogs G+ page which will give you yet another place to post your blogs, with a ready-made audience that is growing every day. You will be able to post to the Whacko Blogs whenever you like. This helps a lot when you want to jump on a topic that you just don’t feel like putting on your own blog. You will have your own bio page on The Whacko Blogs site, that you can edit and update to your hearts content. You will be part of a team, and as part of the team there will always be someone who will be willing to help YOU out with a guest post now and then (even if it is the originator of The Whacko Blogs, he never shuts off). How do I get on the guest post list? Well that is pretty simple too. Just reply to this post, asking to become a Whacko, and tell us what Whacko blog you would like to contribute to. We are always looking for Entertainment Bloggers, Tech Bloggers, Health Bloggers, Sports Bloggers and Political Bloggers. We can usually find a place for you if you don't think you fit into any of these categories too.